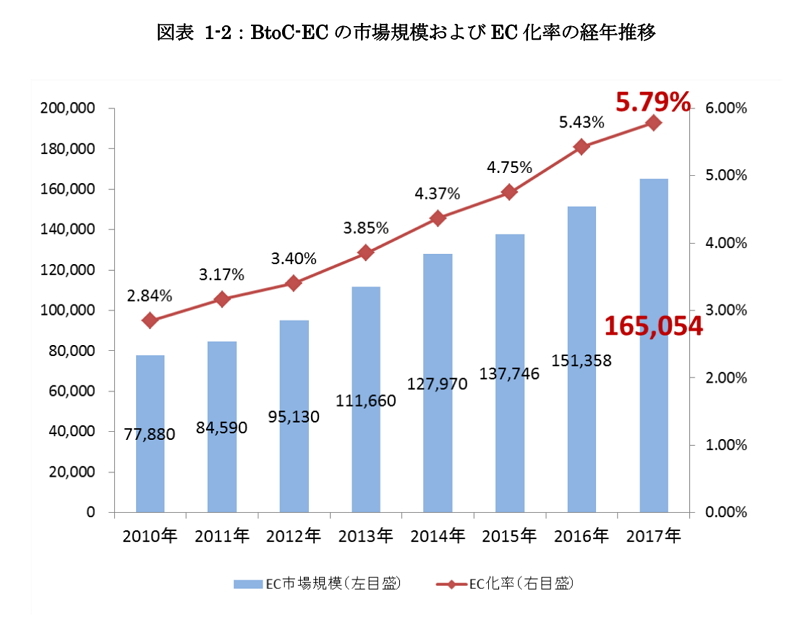 Ministry of Economy, Trade and Industry of Japan (METI) reported that the market scale of B to C EC dealings in Japan reached 16.5 trillion JPY in 2017, 9.1% more than 2016. The market scale of B to B EC dealings was up 9.0% year on year to 317.2 trillion yen. 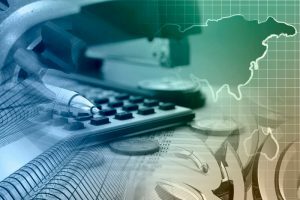 The EC rate of B to C dealings was 5.79% (+0.36 points), and B to B dealings 29.6% (+1.3 points). 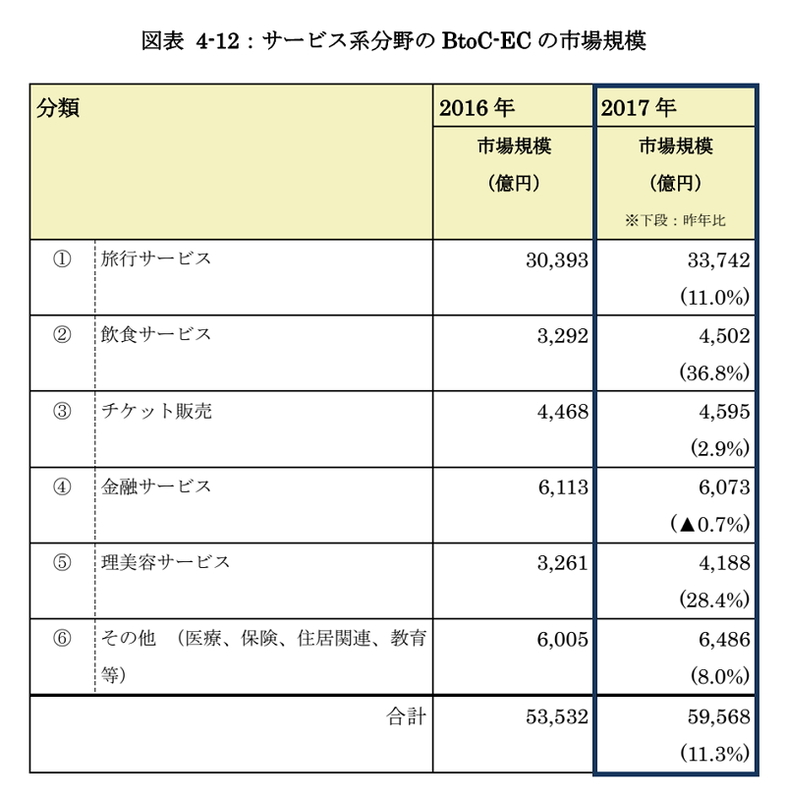 The total amount of B to C EC dealings consisted of 8,601 billion JPY for product sales (+7.5%), 5,957 billion JPY for services (+11.3%) and 1,948 billion JPY for digital (+9.5%). In the service category, EC dealings for travel-related services amounted to 3,374 billion JPY (+11%), and for food & drink services to 450 billion JPY (+36.8%). The large growth of the food & drink services mainly resulted from extension of the booking systems by information or word-of-mouth providers. 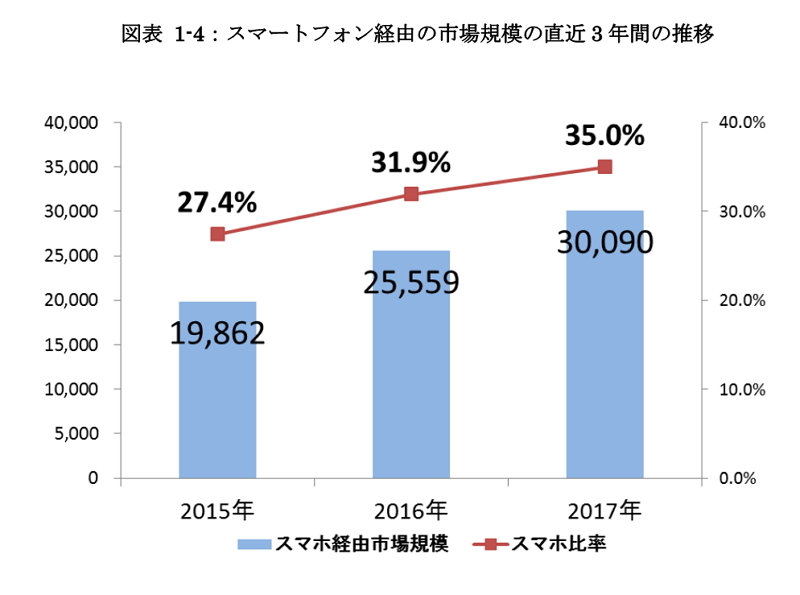 The travel-related EC dealings are boosted by OTA, and METI analyzes that the market is continuously growing with severer competitions among online players, referring to the new OTA business by KDDI or active business developments in Japan by foreign-based major OTAs. The B to C EC dealings on smart phones in the product sales category were up 17.7% to 3,090 billion JPY, which accounted for 35% of the total product sales market of 8,601 billion JPY. The METI report also contains how AI can be used on EC, examining a series of EC services from placing orders, approaches to potential customers, customer supports, receiving orders, distribution and to after services. METI says that use of AI in the EC market will further be diversified, while companies need clearer visions to use AI including combination of AI with human.